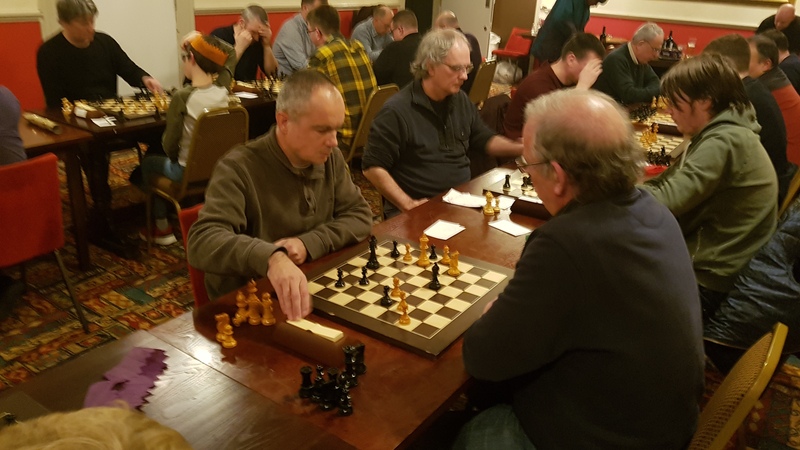 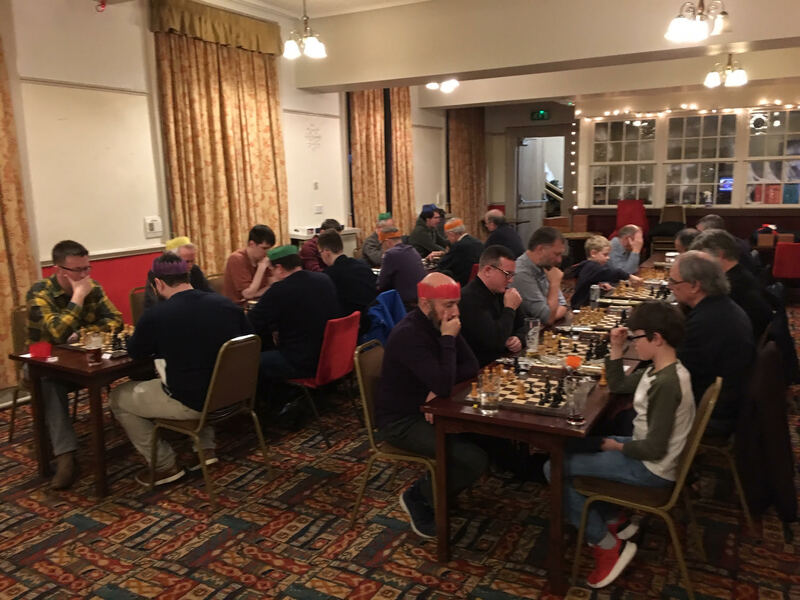 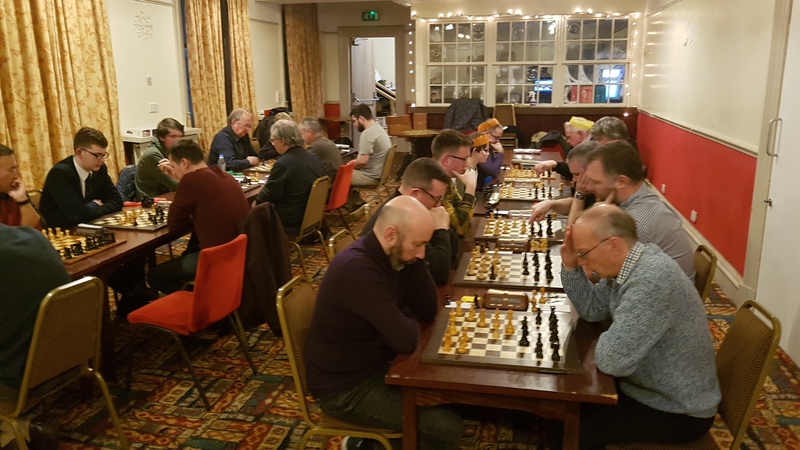 Thanks to everyone who turned up for the Blitz, with special thanks being reserved for David Hulme without whose involvement the tournament could not have been ran. 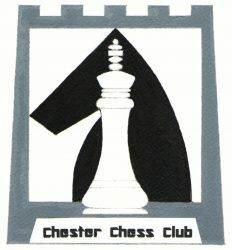 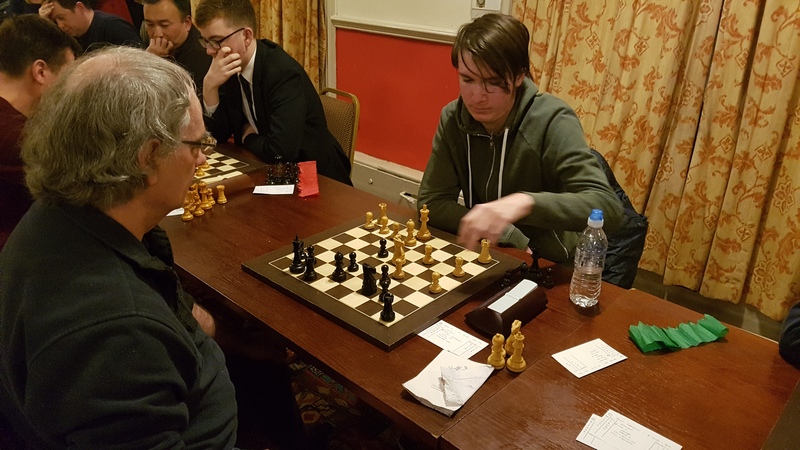 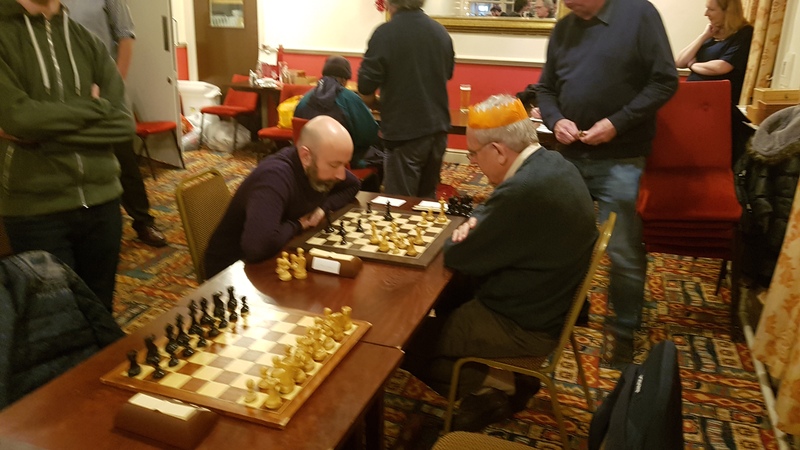 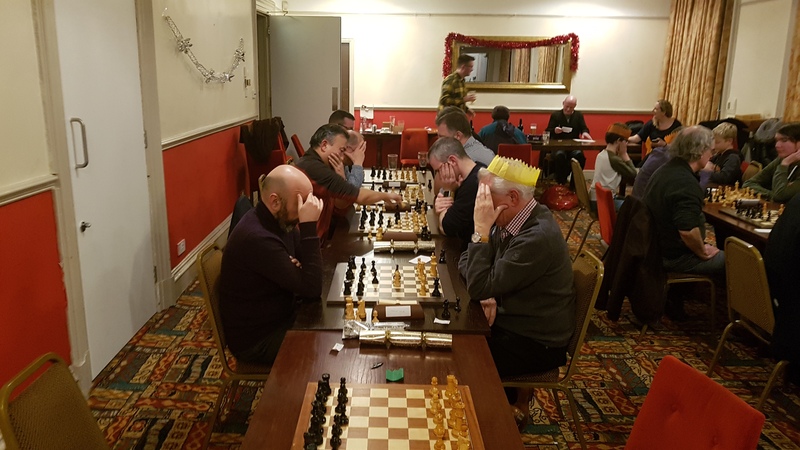 On the night Dan Dowling won the prestigious title of Chester Chess Club Christmas Blitz Champion after a fine overall performance. 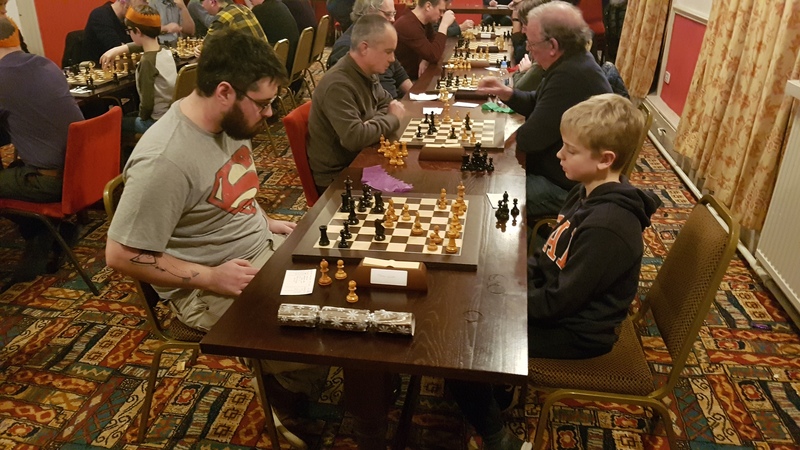 Going into the tense final round there were four players tied for first, including both young Sam Burchett and the slightly older Phil Crocker. 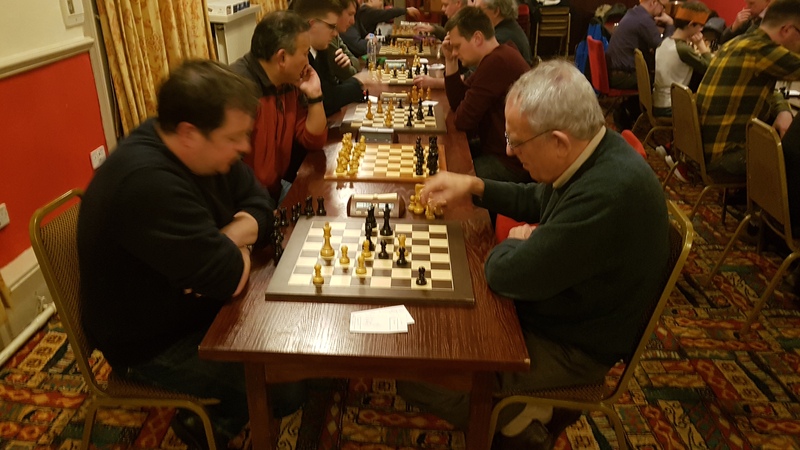 Dan emerged victorious against Sam and John likewise against Phil. 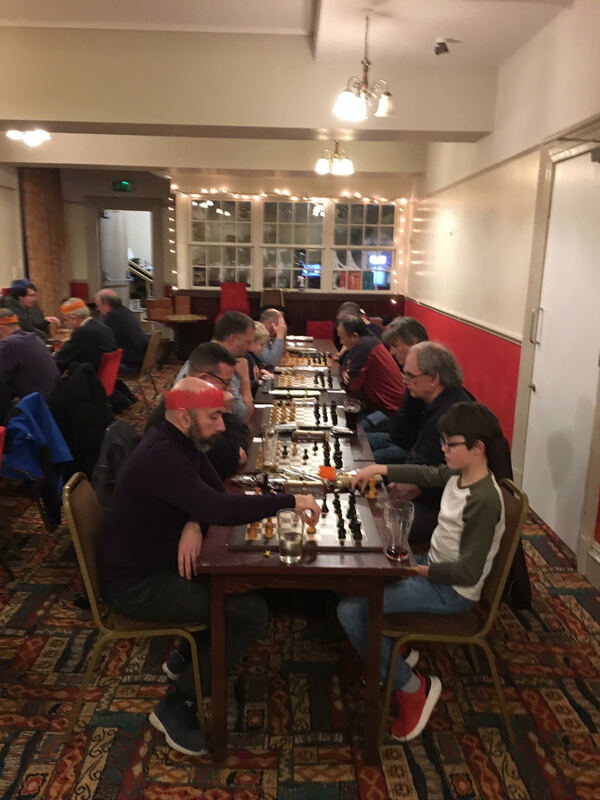 Thanks go to Phil McKeown for his kind donation of a bottle of wine as the prize for the winner of the evenings festivities. 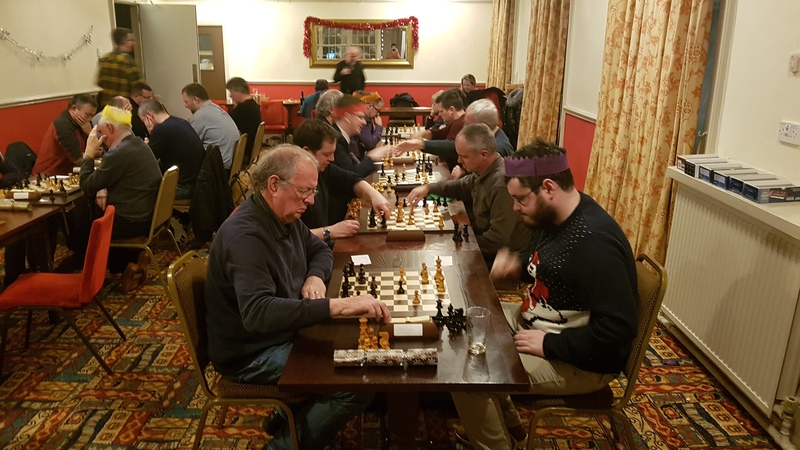 There was a good turn out of 24 people which we hope to see again in future years. 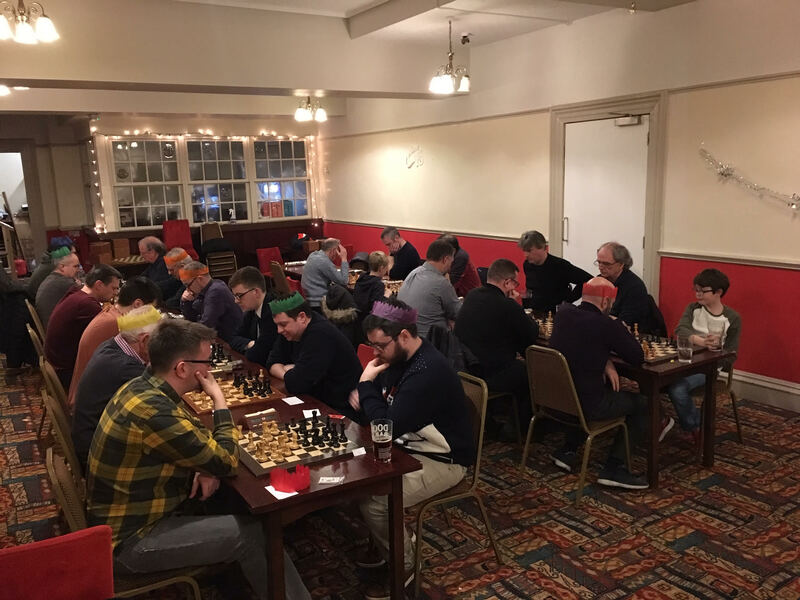 Merry Christmas and a Happy New Year.